Dota Auto Chess has long since taken the world by storm, and as we all know there’s only one thing that can happen from here – endless teasers for new content. 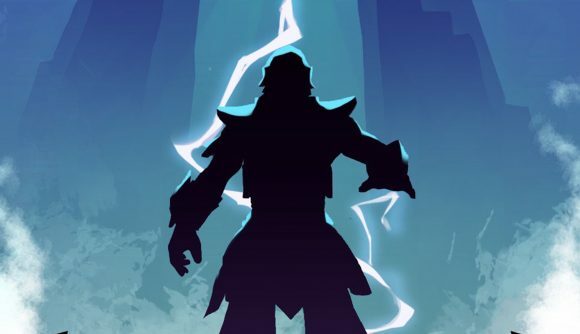 Drodo Studio has gotten the ball rolling on that process with some silhouettes pointing toward new heroes, though admittedly it’s a lot less of a mystery when they’re coming straight out of Dota 2 proper. One of the heroes is outlined in blue lightning, while the other is a bulky fellow in red wielding a shield. It doesn’t take much sleuthing to figure out that they’re Zeus and Mars, the latter of which was the latest addition to Dota 2. You can check out the teasing tweet for yourself, as noted through Polygon. But it didn’t take long for the developers to provide more detail. Zeus and Mars both popped up in the latest test server patch notes, which confirm that they’re part of the new ‘god’ race. The buff appears to be a substantial cooldown reduction for friendly units, which stacks pretty substantially – it’s so crazy, in fact, that there’s some debate on whether or not it’s working as intended. You can check further details on the new additions on Reddit. As always, these stats are specific to test servers, so the specifics are subject to change before they hit the game proper. If you were worried that the announcement of Auto Chess on mobile would pull attention from the original branch in Dota 2, it seems those concerns are unfounded. We talked to the Dota Auto Chess developers recently about their project’s incredible rise, and you can follow that link for plenty more. With Valve’s own attempt at a Dota 2 spin-off failing to find an audience, Drodo’s success is even more impressive.